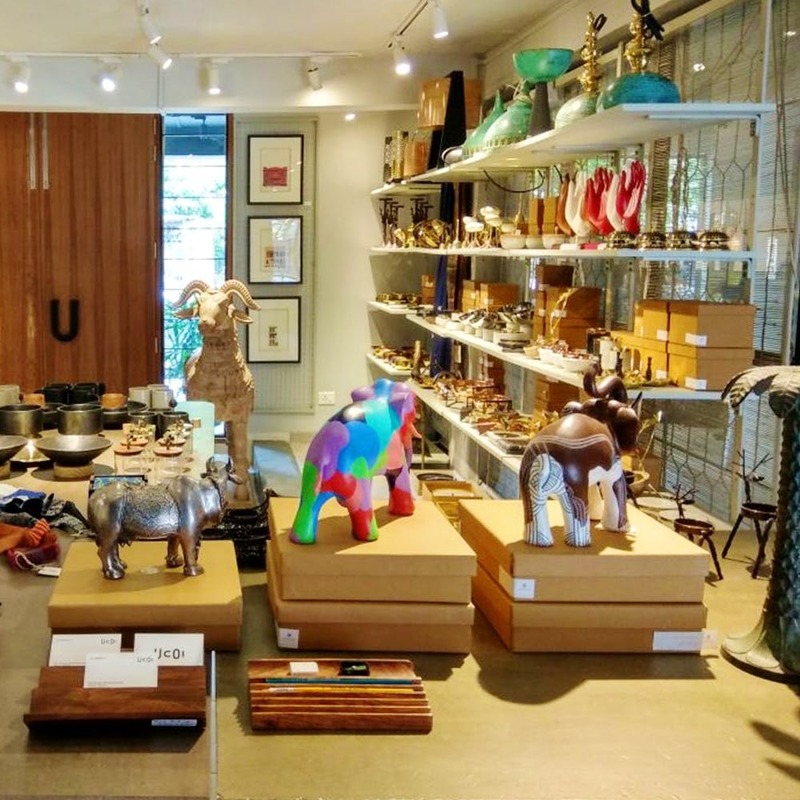 A store styled like a studio and run by four architects, UCOI has a whole host of décor and artefact items for your crib and work space. Thinking of doing up your casa with something unique and individualistic without shelling a bomb? Or looking for a label that makes sustainable fashion that is both stylish and singular in their form? Hit up UCOI. You’ll be spoilt for choice between the high-quality, unusual pieces like brass bowls, metal sculptures and figurines, marble clocks, wooden trays and more. You may find a gorgeous tray with a vintage map of Kolkata or you may find yourself stocking up on those trendy jars you suddenly need! What stood out were the digital artwork series by city artist Reya Ahmed. Look out for the unique furniture pieces made by one of the architect owners, Subi Sumon. If you don’t already know this, then let us tell you that fashion is the second largest polluter of our environment after oil. Cotton or not, fashion’s carbon footing is enormous; and the best way to reduce this is to buy upcycled or organic products. UCOI stocks organic and upcycled fashion. From bags to stoles and sarees the store has a good collection of products made by designer Paromita Banerjee. The signage perhaps could be more visible. It is located close to Byloom in Hindustan Park - towards the end of the lane. But with GPS on your phone (and on your ride), it should be easy to locate. They keep getting new pieces from time to time, so keep checking. The store is open from 11 am to 8 pm (except on Mondays).